At Fratzke Media we are passionate about digital transformation and understanding the principles behind great leadership. There’s a term we’ve identified that encompasses both: transformational leadership. We’ve found transformational leaders to be intellectually curious, committed to taking action and willing to take educated risks in order to grow their brand. These types of leaders are often found in companies that consistently outmaneuver their competitors, regardless of their size - posting epic numbers every quarter. The good news is that transformational leadership is a skill that can be cultivated and grown. It takes action and effort, but if you understand the principles behind this approach, you can refine your strategy for growing your business. Like any journey of discovery, the first step begins with awareness. Based on our experience, we’ve learned that business owners and corporate leaders are somewhere on the journey depicted below. On one extreme, you’ll find leaders that are totally unaware of new opportunities. And on the other end, there are leaders that have become complacent and distracted - they just don’t seem to care. Both extremes are a problem. Which stage are your leaders in at your company? Let’s look at what each step of the journey looks like, from a digital marketing perspective (our area of expertise). Sidenote: We’re not judging here. Great leaders have experienced every stage of this journey. Staying in the innovation loop requires consistent calibration and teamwork. We want you to benefit from our experience so that you can reach your brand’s full potential. Here are the stages we’ve identified. At this stage, you may lack the information required to realize you’ve fallen behind the times. Because of this, it’s difficult to appreciate the value of investing in digital marketing or any other innovative idea for your business. A spark begins the moment you become aware of something new on a competitor’s website or social media marketing. You start to wonder if you can do the same, or even one-up your competitor’s digital marketing efforts. Your curiosity is piqued. This is a critical moment. You’re feeling a new source of inspiration for changing things up. This is the sweet spot for digital transformation. But be careful! It’s easy to feel overwhelmed and retreat backwards. A conscious, bold decision must be made to continue moving forward. A bold decision is made – even if it’s just baby steps at first. Money and time are invested in digital marketing. As the brand begins to see positive results, you push for further investment. Eventually, you choose to throw yourself into the deep-end. You want to learn more and gain as much experience as possible so that your brand can continue to grow at record speed. This stage may take a few years. It takes time to learn, but once the knowledge is combined with action, true transformation occurs. At this stage you’ve learned so much about digital marketing that you are ready to steer the ship boldly towards market dominance. You become the guru. Your desire to innovate results in record sales and inspires your team to do the same. Digital transformation, when well-planned and executed, has the ability to 10x a company. As the numbers start to move in the right direction, you’ll be able to justify further investment in innovative opportunities. When a leader has the numbers to back them up, it’s hard to argue with success. You are fully empowered to make a huge, positive impact on your brand. Once you have positive momentum, it can be tempting for a leader to rest on their laurels. . You’ve accomplished great things. But this is where the slippery slope can start. Leaders in this stage are starting to give into the “set it and forget it” mindset. DANGER! Even more dangerous is the million different directions leaders are pulled in every day. But if you become complacent about your digital marketing efforts, it becomes really easy to devote time and resources to other things. 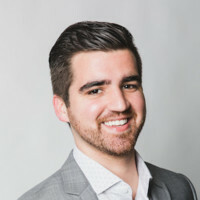 Digital marketing campaigns are hemorrhaging money because they haven’t been optimized to focus on the things that are still moving the needle. You may be paying too much for low-value campaigns, and missing out on new opportunities. 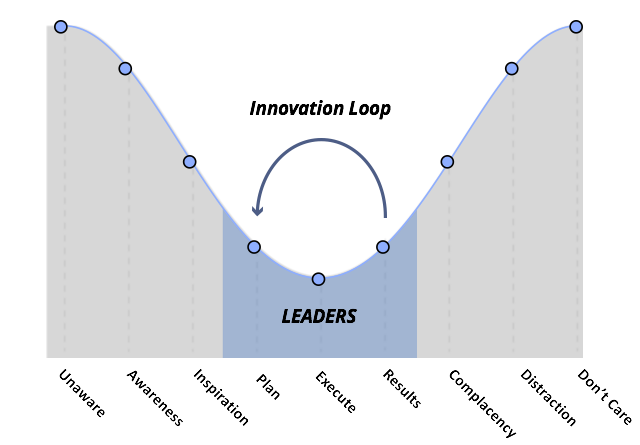 How can leaders stay in the innovation loop? Stay curious, and actively look for and analyze new opportunities. Invest strategically in new tests to produce data-driven insights. Recognize the people and things that drive innovation within your brand. If you’re feeling inspired, but unsure of your next steps, you’re not alone. We’d love to hear from you. Fill out our contact form and we’ll set up some time to chat. Whether you’re looking for help with a single project or a long-term strategic partnership, Fratzke Media has the resources and expertise you need to help you achieve more with your Digital Marketing.